During the Reformation in the 16th century music in the church took a new direction. John Calvin's Genevan Psalter has been sung by the church ever since. Welcome to this website. You will find information about the Psalm tunes of the Psalter that the church Reformer John Calvin initiated (also called Genevan Psalter). In the Church Music section I try to highlight the aspect of music in the church in a broader, biblical context.. 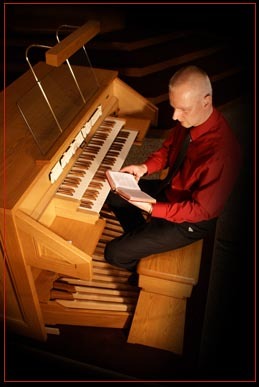 The organist (pianist) has an important function in the church. In the past it was not difficult to have someone to play the organ. Nowadays the requirements of playing the organ in the church are slightly higher, and it is harder to find people that want to dedicate time to learn to play this beautiful instrument.